On October 31, 2017, a worker at a Bedford Park UPS facility was injured just before 2:00 AM after being pinned by a trailer before first respondents freed the man and transported him via airlift to a local hospital. Jennifer Cook, a spokeswoman for UPS, confirmed that the company would conduct an in-house investigation into the matter to determine the cause of the incident and take appropriate measures to prevent accidents like this from occurring in the future. The Occupational Safety and Health Administration (OSHA) opened an investigation into the incident occurring in the 6700 block of W. 73rd St. in Bedford Park. The man’s current health condition is not immediately known. A stir was created when Anheuser-Busch made news by shipping a trailer full of beer over 120 miles without a driver behind the wheel. While there was a driver in the sleeper berth ready to take over if things went awry, he never took the wheel as the semi-truck made its way from Fort Collins to Colorado Springs. The development of autonomous driving technology for trucks comes with a lot of questions and the public has voiced many of the same concerns over self-driving trucks as they have cars. For our Chicago truck accident attorneys, the most important question for consideration is how this technology impacts liability. When a truck is able to travel 120 miles without any assistance from a human being and can enter and leave the highway without causing an accident, it quickly dismisses any notion that self-driving technology is soon to become reality for drivers everywhere. While there are many benefits to this technology, many concerns and questions still exist in the minds of skeptics. First, let’s consider the benefits that autonomous driving may have on the trucking industry. Drivers wishing for x-ray vision when attempting to overtake large trucks may now benefit from a technology that is just as effective. Samsung has developed a transparent Safety Truck equipped with cameras and weatherproof monitors working in tandem to provide trailing drivers to see around or through the leading semi-tractor trailer prior to making the decision on whether to overtake the truck. This could prevent many of the accidents that result when motorists drive to perform passing maneuvers on two lane highways and save countless lives in the process. It can also provide insight into the view that truck drivers have of the road and the distance vehicles should maintain ahead of a truck before moving into its lane. Following the creation of a prototype last year, Samsung has received the go-ahead to expand its testing program. It will begin by testing numerous Safety Trucks over the next four months to determine whether they effectively reduce the number of accidents resulting from vehicles overtaking trucks. If the tests are successful, Samsung will begin making the Safety Truck available in markets across the world, including in the United States. Nine children were taken to the hospital with minor injuries after a truck rear ended a bus on January 21, 2016 and pushed it into the semi-trailer ahead of it. The accident occurred on Green Bay Road near Major Avenue in Beach Park and 56 children needed to be evaluated by school officials before being sent home with their parents. 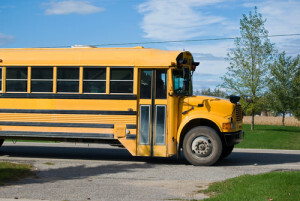 Children being transported on buses tend to be more vulnerable in the event of an accident due to limited protection and a lack of restraints. Many of the injuries suffered are the result of children striking the seat ahead of them or falling to the ground following a sudden jolt. Authorities discovered that the driver responsible for the accident had failed to reduce his speed prior to the collision and has multiple citations for speeding on his record. He was cited for failure to provide proof of insurance and not having a driver’s license on him at the time of the accident. It is unclear whether he using the vehicle for the purpose of work at the time of the accident. 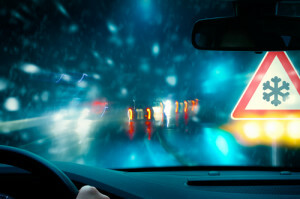 His employer may share liability for failure to ensure that he was in compliance with all applicable driving and work laws prior to being allowed to work. Truck drivers are receiving a crash course on winter driving through the use of a state of the art simulator that mimics actual road conditions in inclement weather and allows drivers to learn how their vehicles will respond under varied situations. 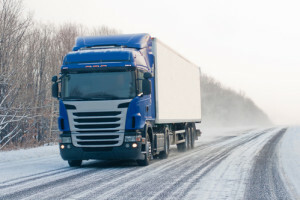 The Chicago trucking accident attorneys of Rosenfeld Injury Lawyers LLC have found that commercial truck drivers often overestimate their abilities during cold weather and believe that this tool can help make the roads much safer if all drivers were required to participate in cold weather simulations. Since commercial trucks are capable of catastrophic levels of devastation, the prevention of accidents is instrumental in reducing the number of truck related fatalities. For nearly eight years, drivers and truck companies have been able to use driving simulations offered by the Michigan Center for Truck Safety to educate and test drivers using multiple scenarios and challenges. The purpose is to show drivers the exact response of a large semi-tractor and its trailer under specific conditions so that they can make real life adjustments to their habits that will save lives. This is an invaluable tool when training new drivers because they are able to make errors or miscalculations without causing any harm to others on the road. The Chicago trucking accident attorneys of Rosenfeld Injury Lawyers LLC have long known of the role that driver fatigue has on truck crashes and recent developments in the investigation into the cause of an accident that involved comedians Tracy Morgan and James McNair show that the driver’s violation of his hours of service requirement had a large role in the accident. 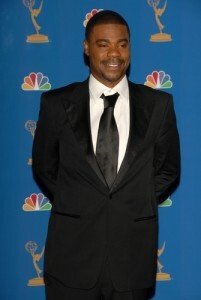 While Tracy Morgan and the family of the deceased McNair have both come to agreements with Wal-Mart following the incident, the driver is still subject to mounting criminal charges that include multiple counts of vehicular homicide. Kevin Roper, the driver of the truck that caused the six vehicle accident, was in direct violation of a law that limits the amount of time that drivers may spend on the road and which requires an adequate rest period between each shift. The investigation revealed that prior to the accident, Roper had been awake for 28 hours straight and traveled 800 miles from his home before picking up his load in Delaware. When picking up the load, he was already nearing the end of the 14 hour limit and had the option to take a layover with pay instead of proceeding with the load as he did. 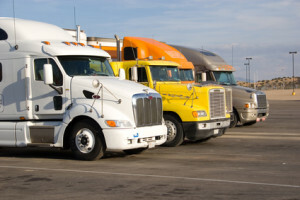 The Chicago trucking accident attorneys of Rosenfeld Injury Lawyers LLC are often required to evaluate cases to determine whether the root cause was the actions taken by a driver, the failure of the employer to maintain the vehicle, or a manufactural defect that resulted in a loss of control. It is not surprising that each party will try to exonerate itself of all blame during a claim, but the claims made by drivers that their tires are defective may not hold as much weight as you’d expect. Whenever a tire blows out, the first question that needs to be asked is whether the driver was operating within the bounds recommended for its use. 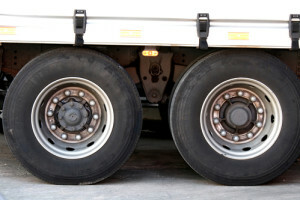 A truck’s tires are the only part of the vehicle to make contact with the road and must bear its weight through the entirety of every journey. At high speeds, tires heat up and begin to wear down; increasing the chances they will crack, split or blow out during use. Most truck tires have been rated to sustain speeds of under 75 mph, but there are no longer any guarantees once that threshold is crossed. Long distance drivers often encounter speed limits up to 85 mph and 14 states allow vehicles to exceed 75 mph. With this in mind, truck drivers should not drive at unsafe speeds simply due to the fact that other vehicles are permitted to. Will Truck Driver Shortage Make Roads More Dangerous? Trucking is the backbone of the commercial shipping and freight industries. More than two thirds of freight transported in the United States is carried by commercial trucking companies, whether in conjunction with other modes of transport or as the sole means of transport. Even though the movement of goods across the nation is highly dependent on the trucking industry, trucking companies are now finding themselves short of drivers and overworking the drivers they currently employ. This crisis could have a catastrophic impact on how safe the roads will be in the near and distance future and travelers should take note. There are approximately 2.6 million commercial truck drivers currently employed in the United States, but the American Trucking Association believes there is a shortage of about 40,000 drivers which continues to grow as time passes. This shortage could grow to 240,000 drivers before the end of 2022 if the trucking industry in general is unable to make commercial truck driving jobs more attractive. The age of current drivers and unattractive compensation plans offered are thought to be the driving forces behind the shortage of drivers. 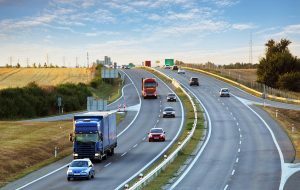 An appellate court recently reversed a ruling which exonerated a motor carrier from liability when one of its independent contractors lost control of a tractor trailer and injured a coworker. FMI operates a shipping and distribution center out of California that delivers goods cross country to New Jersey and hires owner/operators to run its routes. When two of its contracted workers were involved in an accident, FMI argued that it was not liable for the negligent actions of its hired drivers due to the fact that FMI regularly hires independent contractors. The court originally ruled in FMI’s favor but an appeal of the ruling by the plaintiff was successful. Jose Vargas and Luis Felipe Villalobos, employees of Eves Express, Inc. were hired to transport cargo on behalf of FMI and while Vargus was resting in the sleeper tractor, Villalobos lost control of the vehicle and injured Vargus during the resulting accident. Jose Vargus chose to file a lawsuit against Villalobos, Eves Express and FMI on the grounds that Villalobos acted negligently and Eves Express and FMI both failed to provide a safe work environment. FMI argued that the liability rested solely upon Eves Express— the company contracted to perform duties on its behalf. 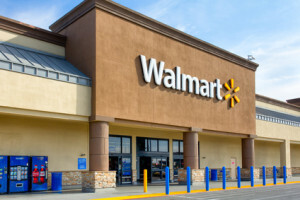 Walmart recently agreed to an out of court settlement following an accident that claimed the life of James McNair and resulted in serious injuries to well-known comedian, Tracy Morgan. The settlement is the first in what is expected to be multiple settlements related to the fatal truck accident that occurred when a driver collided with Tracy Morgan’s limousine and resulted in injuries to numerous people. The driver of the truck is currently facing criminal charges in addition to his civil liability for the accident which caused catastrophic harm to each of the victims involved and their families. James McNair’s family members have not released details about the settlement agreed to by Walmart but have stated that they feel Walmart did right by their family following the incident and that the settlement offer was satisfactory. Walmart has refused to admit that it was liable for the actions of its driver, however, and is the defendant in numerous lawsuits filed by the other victims in the incident. Kevin Roper, an employee of Walmart had been driving without sleep for more than twenty-four hours prior to the incident, which is a direct violation of federal laws regulating the amount of work drivers are permitted to log before resting. 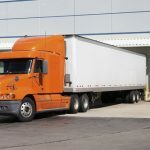 Truck drivers are often encouraged by their employers to work for longer periods without rest in order to hit quotas and meet deadlines and the question of whether Walmart encouraged or knew about Roper’s violations remains a key factor in the lawsuits being brought against the company.